Brazilian Region 4 Buffy, the Vampire Slayer 4th season DVDs on pre-sale. The box art is very different from either US (region 1) or UK (region 2) versions and release date is scheduled for April 27th. 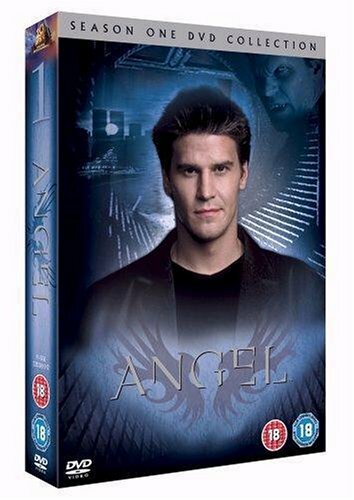 The same goes for Angel Season 1 (Region 4) Box Set, about differences on US and UK box arts. Funnily, the Season Box, actually looks like bigger than all The Chosen Collection Box Set. "...looks like bigger than all The Chosen Collection Box Set." Probably has empty space inside for the other seasons to be added by the customer as they are released. Or it's just a bad rendering of the box! Yes...much more box-like...not very space-saving friendly. 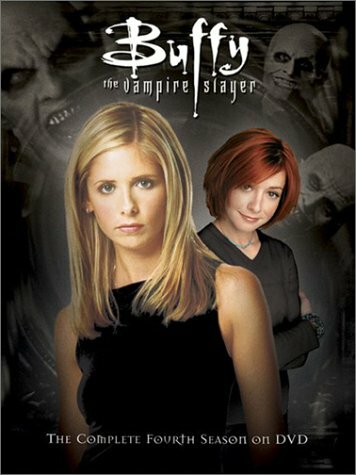 The Buffy season 4 DVD looks very similar to the Region 2 version to me. And I have the Region 2 version.